The SA Reserve Bank's Prudential Authority has disciplined HSBC Bank Johannesburg for weaknesses in its processes that prevent the bank from "proactively detecting potential money laundering and the financing of terrorism". The bank has been fined R15m and ordered to take remedial action, the Reserve Bank said. In a statement, the SA Reserve Bank said it had imposed administrative sanctions on HSBC Bank Johannesburg Branch for non-compliance with aspects of the Financial Intelligence Centre Act 38 of 2001. "The administrative sanctions were imposed because certain weaknesses were identified in HSBC’s processes which inhibited HSBC from proactively detecting potential money laundering and the financing of terrorism," the Reserve Bank said. "It should be noted that the administrative sanctions were not imposed because HSBC was found to have facilitated transactions involving money laundering or the financing of terrorism," the statement added. The failure to formulate and implement adequate processes and methods as per FICA – which would enable HSBC to detect and report suspicious or unusual transactions – gave rise to the sanctions, SARB said. 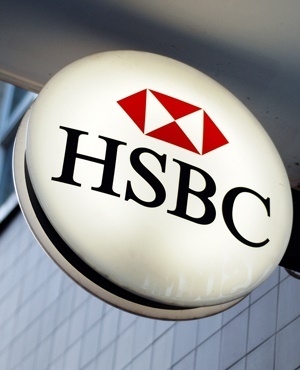 Of the R15m fine, half would be suspended for a period of three years, subject to HSBC adhering to certain conditions. HSBC is said to be cooperating with the order.